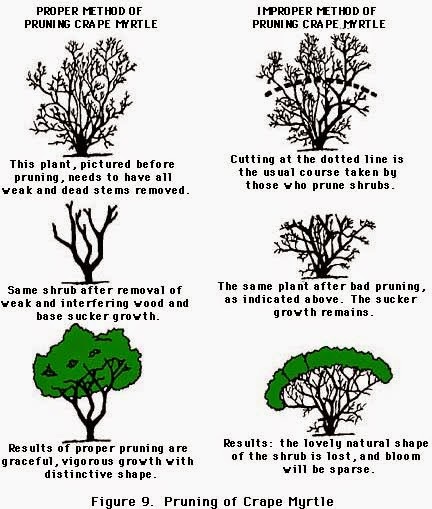 "Results of proper pruning are graceful, vigorous growth with distinctive shape." With the Dow Jones Industrial Average (DJIA, "the market," "Wall Street") hovering at just under 17,000 it is probably a good time to do some portfolio pruning. For those investors who chose to Invest Like A Farmer, this year has proven to be particularly fruitful. It comes on the heels of last year's 32% run in the S&P 500 and puts this Bull Market easily in the Top 5 and perhaps even the Top 3, depending on when you benchmark the start, of all-time Bull Markets. Why am I suggesting taking a pair of pruning shears to your portfolio now then? Simply put, growth rarely continues on a linear path indefinitely. After a long and sustained period of growth, it makes sense to trim some positions in a portfolio either by directly selling said positions or alternatively writing (selling) options on those securities to at least establish a partial hedge. You want your "money tree" to look like the example in the lower left corner of the above chart. To help accomplish this, for equity positions with significant gains, I prefer the options-writing strategy. For losers in the portfolio, I prefer the outright sale approach. It is common to use both techniques in a portfolio; pruning the losses with direct sales and hedging the winners with an options strategy. Pruning by its very nature is a selective process that helps identify weaknesses in a tree, shrub, and yes, even your equity portfolio! Often several positions have gained appreciably and therefore they now comprise a significant portion of your holdings. Alternatively, some positions may have completely disappointed you and now are underwater. Both cases offer the opportunity to reduce further exposure by either hedging the position or selling it outright. As financial farmers who espouse the theory of Investing Like A Farmer, the slow summer months with volumes at one half or even one third their traditional "working months," are prime time for evaluating your holdings and pruning as necessary. A well-pruned portfolio is like a well-pruned bonsai tree; a beautiful living piece of work that can last for many generations.